The CAPTA (Child Abuse Prevention Treatment Act) Reauthorization of 2010 requires the reporting of substance-exposed newborns to CPS (Child Protective Services). Compliance with CAPTA is required for state block grant receipt of CPS funding which has led to a heterogeneity of state laws and much confusion at the provider level. Furthermore policies related to alcohol, cannabis, MAT, and illicit substances differ during pregnancy. This focus session will review the background to this legislation and the different state responses. The benefits of CPS in terms of access to services will be contrasted with examples of how CPS reporting of maternal drug use can become a barrier to prenatal care. Special attention will be placed on MAT and confusion from the legislation regarding the reporting of newborns who exhibit withdrawal from methadone or buprenorphine. The CAPTA (Child Abuse Prevention Treatment Act) Reauthorization of 2010 requires the reporting of substance-exposed newborns to CPS (Child Protective Services). Compliance with CAPTA is required for state block grant receipt of CPS funding which has led to a heterogeneity of state laws and much confusion at the provider level. Furthermore policies related to alcohol, cannabis, MAT, and illicit substances differ during pregnancy. This focus session will review the background to this legislation and the different state responses. The benefits of CPS in terms of access to services will be contrasted with examples of how CPS reporting of maternal drug use can become a barrier to prenatal care. Special attention will be placed on MAT and confusion from the legislation regarding the reporting of newborns who exhibit withdrawal from methadone or buprenorphine. Presentations will include cases drawn from clinical experience as well as data from original research including both maternal perspectives on CPS and state-level data from Maryland Department of Social Services detailing the number of reported newborns, substances reported and outcomes. Dr. Margaret S. Chisolm is an Associate Professor of Psychiatry and Associate Director of the Paul R. McHugh Program for Human Flourishing at the Johns Hopkins University School of Medicine. She is also Director of Education for the Department of Psychiatry at Johns Hopkins Bayview Medical Center. Dr. Chisolm is co-author of a textbook on psychiatric evaluation and has written more than 70 scientific and clinical articles about substance use and other psychiatric disorders, humanistic practice, and medical education. Dr. Chisolm is an ACNP and ABAM diplomate, a member of the Miller-Coulson Academy of Clinical Excellence, an Arnold P. Gold Foundation Humanism Scholar, and the recipient of the 2014 Johns Hopkins University Alumni Association Excellence in Teaching Award. Sarah CM Roberts, DrPH, is an Assistant Professor at Advancing New Standards in Reproductive Health (ANSIRH) at the University of California, San Francisco, Department of Obstetrics, Gynecology, and Reproductive Sciences. Her research interests include policies that affect women's reproductive lives including both state-level abortion restrictions and state-level policies targeting alcohol and drug use during pregnancy. Dr. Roberts' current substance use-related research focuses on the relationship between alcohol and drug use and abortion as well as the effects of policies targeting alcohol use during pregnancy. Her previous substance use-related research focused on barriers to prenatal care for women using drugs and racial disparities in Child Protective Services reporting related to maternal drug use. Alene Kennedy-Hendricks, PhD is an assistant scientist in the Department of Health Policy and Management at the Johns Hopkins Bloomberg School of Public Health and a core member of the School's Center for Mental Health and Addiction Policy Research. She conducts health policy analysis and communication research related to substance use and mental disorders. Much of her research has focused on public opinion and policy attitudes, social stigma, and news media coverage surrounding the issues of nonmedical use of prescription opioids and prescription opioid use disorder. In addition, Alene is interested in the implementation and impact of delivery system reforms that aim to integrate behavioral health and primary care for individuals with substance use disorders and mental health conditions. Earn a maximum of 1 AMA PRA Category 1 ™ credits while how, in recent years, social media has revolutionized the face of behavioral healthcare marketing. Now more than ever, alumni are turning to social networking sites such as Facebook, Twitter, and Instagram to share experiences, make meaningful connections, and access recovery tips and resources. But with so much potentially sensitive information abound, providers and marketing professionals must be cognizant of the many regulations and ethical complexities relating to social media before sharing and connecting with alumni online. In this interactive discussion, you will gain a clear understanding of social media marketing best practices, and learn how to grow a vibrant online community while maintaining an ethical digital presence and adhering to HIPAA rules and regulations. Social media has revolutionized and expanded the way we communicate and interact with the world around us. A mere decade ago, it was little more than a budding trend. Now, with Facebook closing in on 1.5 billion active users monthly and 74% of the adult US population using at least one social networking site, it has become a global phenomenon. Utilizing social media platforms can be an asset for addiction treatment providers and program alumni alike, as social support and camaraderie is an important factor to the recovery process. However, providers must remain mindful of patient privacy rights when interacting on social media, as all content must comply with HIPAA, applicable facility policies, and state common law. Breaches in patient privacy and confidentiality on social media can have serious consequences for individual staff members and an organization, including loss of employment and/or state licensure; criminal investigations; fines and penalties; and lawsuits. As providers and marketers within the addiction space, how can we balance the complexities and boundaries of social media with the power of connectivity that these platforms bring? The purpose of this presentation is to demonstrate ethically sound ways to engage with and provide support to alumni via social media platforms. We will first cite ethical issues and case studies relating to engagement with alumni on social media. This includes an in-depth discussion on HIPAA regulations. We will then highlight best practices for engaging with alumni on social media for treatment providers. Finally, in an interactive section of the presentation, we will show examples of tweets, posts, and scenarios that an addiction treatment provider might come across and demonstrate how to best handle these situations. Ruchi M. Sanghani, MA holds the position of Director of Research at Recovery Brands LLC. Ms. Sanghani received a Master's degree in Bioethics from Case Western Reserve University, with a concentration in health care research ethics. Her previous works conducted include physician-industry transparency research at The Cleveland Clinic Department of Bioethics, and studies on improving the efficacy of conflict of interest reporting at the Edmond J. Safra Center for Ethics at Harvard University, where she served as a Research Ethics Fellow. Ms. Sanghani is an expert in quantitative methodologies with extensive experience in utilizing survey tools to develop products and programs to increase efficiency. At The Cleveland Clinic, Ms. Sanghani served on a committee to create and implement a reporting platform for physicians to efficiently monitor payments made to them by industry partners. Ms. Sanghani has authored several peer-reviewed publications, including a public call to action for the development of vital multi-metric outcomes measurements to improve the quality of care in the addiction industry. In her current capacity as Director of Research at Recovery Brands, Ms. Sanghani oversees the development and implementation of research investigations to synthesize meaningful and relevant analyses for public consumption to aid in the decision-making process of those seeking addiction treatment. Ryan is the Content Marketing Manager at Recovery Brands LLC. In her role, she is responsible for leading the branding and strategy of Recovery Brands' social media channels, blogs, email campaigns, and viral marketing projects. With over six years of experience leading content strategy and implementation in agency and startup environments, she's helped brands amplify their online presence & community engagement. Ryan has been involved on social media and content marketing campaigns for Goodwill Industries, the National Disaster Search Dog Foundation, and the San Diego Union Tribune. Maintenance of Certification (MOC) is a fundamental part of Addiction Medicine certification, and it can be important for patient care as well as professional development. MOC Part 2 (also known as lifelong learning and self-assessment) involves reading medical literature and answering questions based on articles, which is not always easy, especially for new addiction medicine certified physicians. This workshop will help meet MOC Part 2 requirements for attendees. In addition, attendees who are not certified in addiction medicine can learn about recent research from across the spectrum of the field of Addiction Medicine. This information will be discussed in terms of clinical relevance to patient care. Session description: Recent articles in addiction medicine selected for MOC Part 2 will be reviewed and critiqued to demonstrate the process and educate participants on the latest research findings in addiction medicine, including how this impacts patient care. Attendees will have a demonstration of the addiction medicine MOC web portal and be able to log on to review and participate in MOC self-assessment modules in real time during this workshop (laptop or tablet with wifi connection required for this—attendees will be informed to bring to the workshop if desired).  Several articles from the Self-Assessment Modules (SAMs) will be described and discussed by experienced researcher-educators in Addiction Medicine from around the United States in an unbiased fashion, with attention paid to both strengths and limitations of each article. Each discussion will provide essential information to allow addiction medicine certified physicians to answer self-assessment questions for each article if they desire, and receive credit for participation in MOC Part 2, either during or after the workshop. Conclusions: Participants will gain an appreciation of the scope of recent research in addiction medicine and how it may impact patient care. In addition, participants will learn about new research that may potentially affect their practice. Addiction Medicine certified physicians who attend and are participating in MOC will be able to answer Part 2 Self-Assessment Module questions for MOC credit during this workshop.